SRINAGAR: As many as eight residents stranded between Zanskar and Leh as the Chadar have been rescued with great difficulty. They were travelling on Chadder and were on way to Leh when the ice broke, police said. A police spokesman from Leh confirmed that all the eight persons were rescue using tubes. A police party had gone to help with along with a senior civil administration officer. They had been trapped near Nerak. It is the place where the temperature is usually minus 45 degrees and the area is windy as well. Chadar is a new tourist attractor in the region. 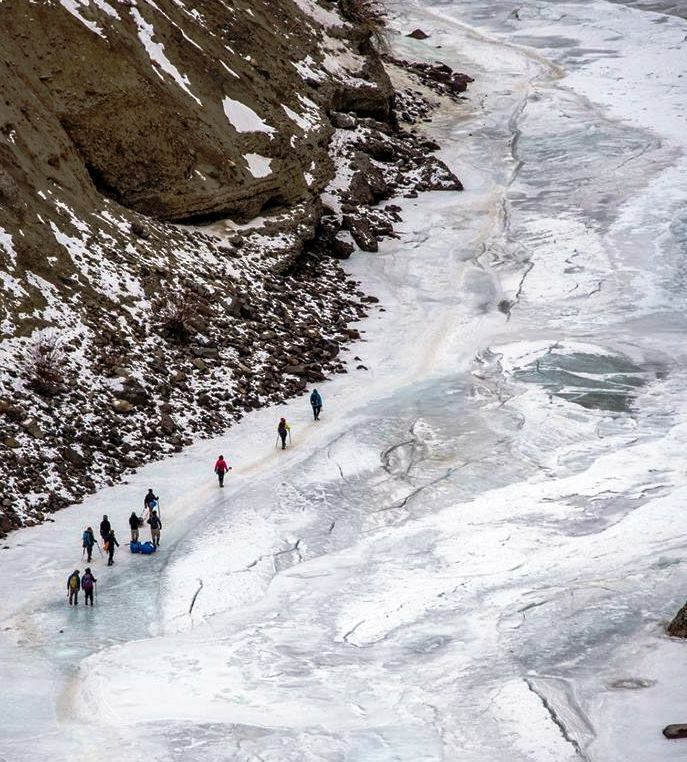 It is basically the Zanskar River that freezes during winters and the trekkers walk on this Chadder. This is a huge sport. Though thrilling, this is very dangerous. This season, at least two persons were consumed by the Chadder. 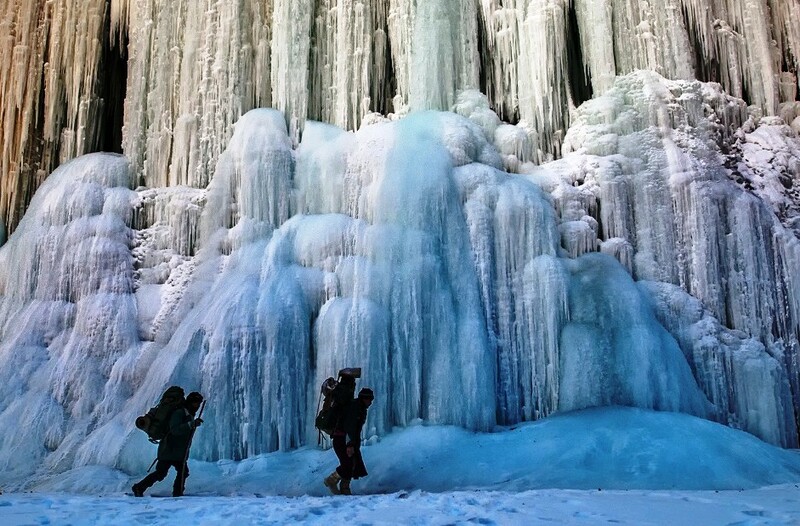 In February 2018, a Pune trekker was killed while trekking on the frozen river. The other person was a local girl who fell into the river and died instantly. After the death of the 21-year-old taker, authorities had asked the tour operators only to take people on this trek who are healthy and are able to manage themselves in sub-zero temperatures. They are supposed to have 48 hours of acclimatization before they go on the track. The trekkers are also supposed to undergo a rigorous health examination before the trek, the advisory said. People in Zanskar have been historically using the trek movement in groups to Leh and Kargil. Gradually this emerged into a sport and a tourist attraction. This winter, there were around 1300 trekkers who took the trek during peak winter. Well before the temperatures improve, the local tour operators have been going on a cleansing expedition to keep the area clean for the next season. The tourism department has initiated an adventure insurance policy to help the adventure enthusiast to take care of their families in case of any eventuality.